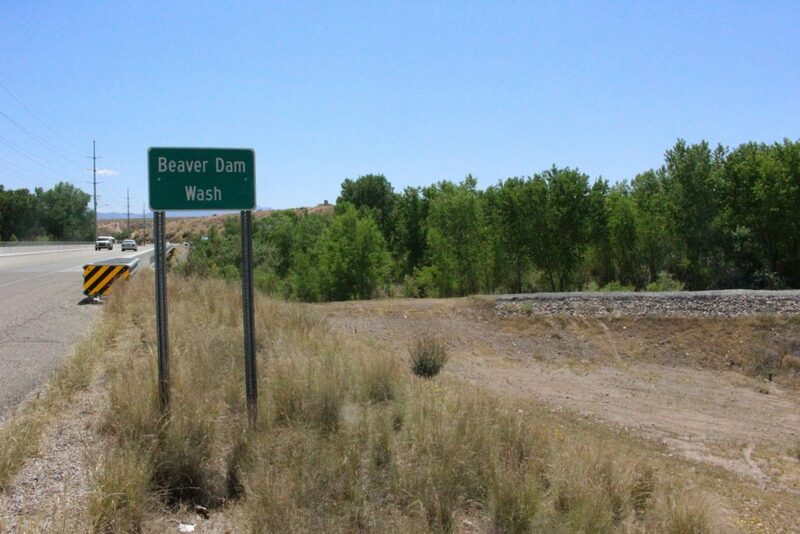 BEAVER DAM, Ariz. — A man is still at large after police say he resisted arrest and assaulted an officer Friday morning before fleeing on foot in Beaver Dam, Arizona, about 30 miles southwest of St. George. 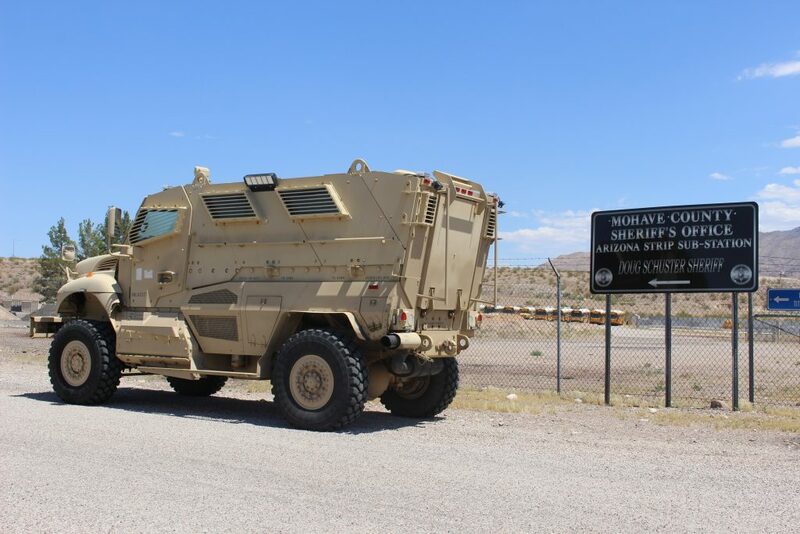 Update May 1, 1 p.m. Boone turned himself in to authorities in Kingman, Arizona, Monday night, according to Mohave County Sheriff’s Office. 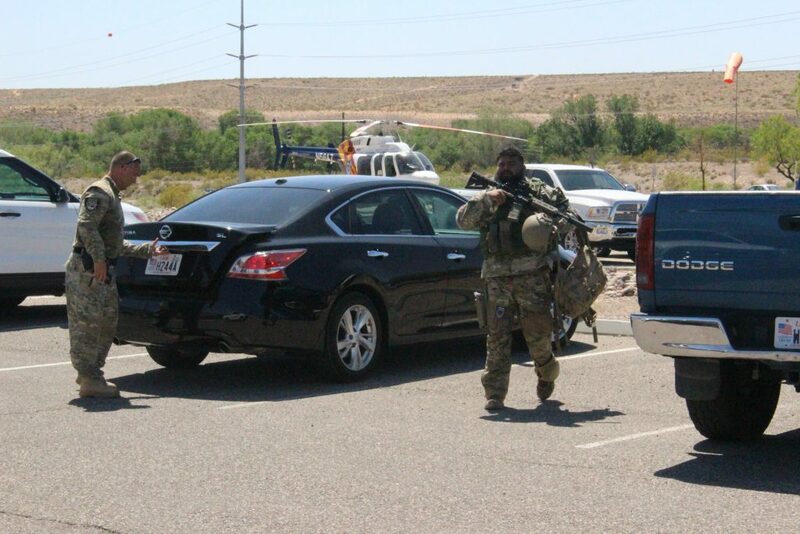 Police are asking for the public’s help in locating 34-year-old Darren Bruce Boone, of Littlefield, Arizona, wanted for alleged aggravated assault on an officer and escaping custody. 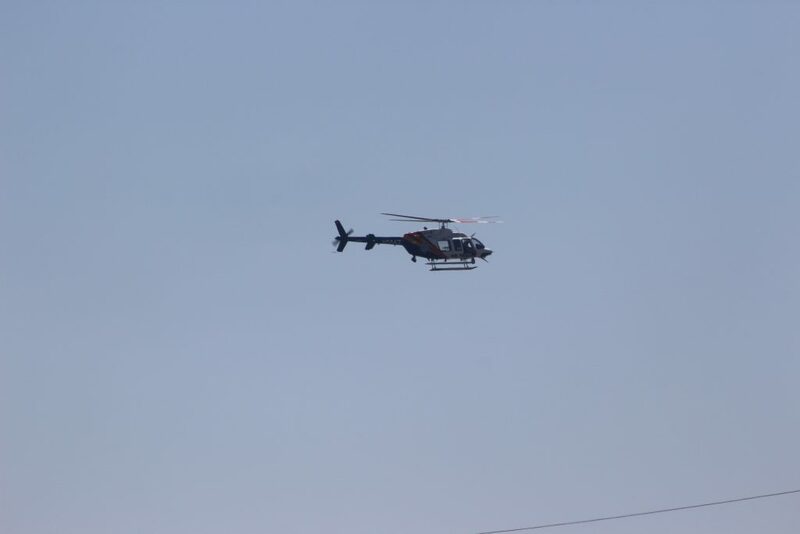 The incident that triggered the manhunt occurred at approximately 9 a.m. when deputies were attempting to make contact with Boone about an earlier, unrelated incident, Mohave County Sheriff’s spokeswoman Anita Mortensen told St. George News, noting that the Sheriff’s Office is not releasing information about the unrelated incident. Boone was observed in a vehicle with expired license plates on Highway 91 and was pulled over by a Mohave County Sheriff’s deputy, Mortensen said, adding that he was also found to be driving without a driver’s license. 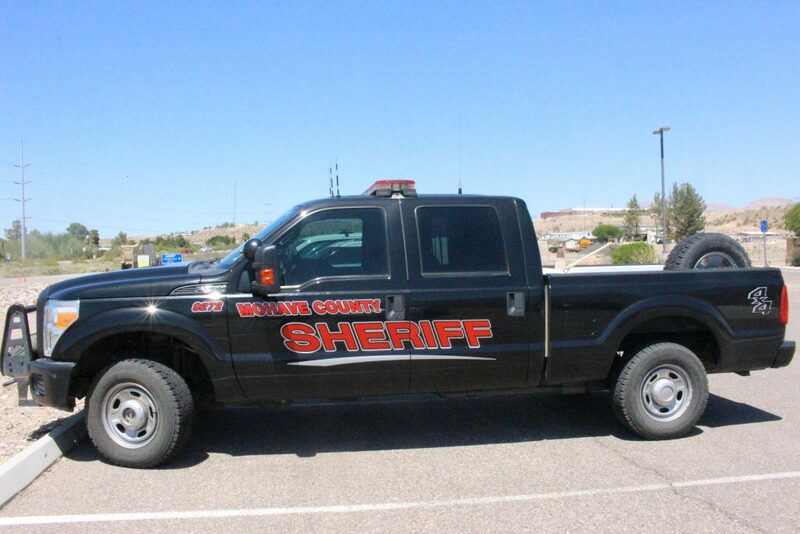 The deputy proceeded to arrest Boone for the license issues, Mortensen said. “(The deputy) got one handcuff on him, and after the one cuff was applied, there was a struggle,” Mortensen said. “The suspect was able to grab the deputy’s Taser and hold it up to the deputy’s face and neck. At that time, Mortensen said witnesses saw Boone reach for the deputy’s weapon. A woman at the scene described by police as a Good Samaritan tried to help the deputy by pulling Boone away. 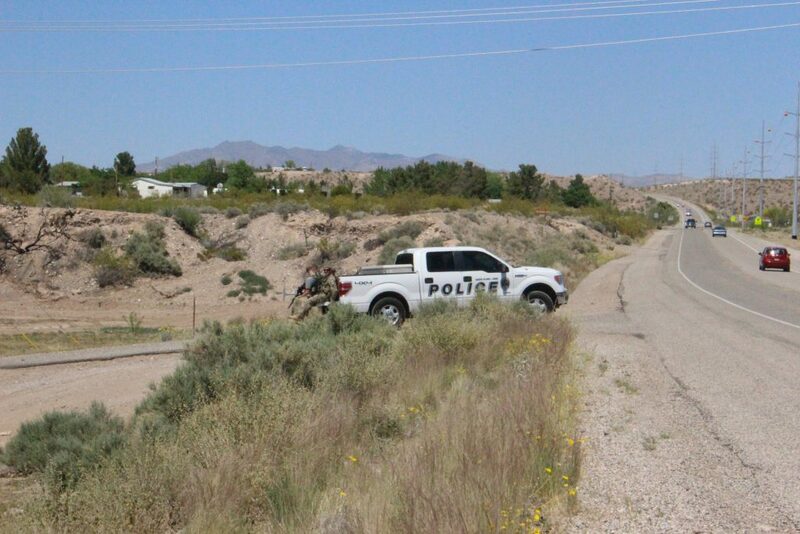 Boone shoved the woman to the ground, Mortensen said, adding that the woman was armed and was able to shoot a “warning shot” into the air, causing Boone to flee on foot into the bushes in the nearby Beaver Dam Wash.
A multiagency manhunt that included responders from Southern Utah ensued shortly after. 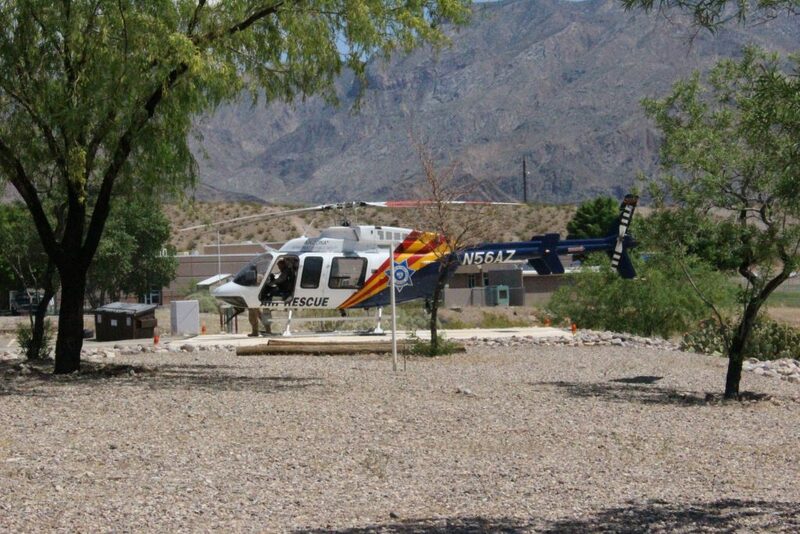 Mohave County Sheriff’s deputies were joined by heavily armed personnel from Washington County Metro SWAT and air support from the Arizona Department of Public Safety. 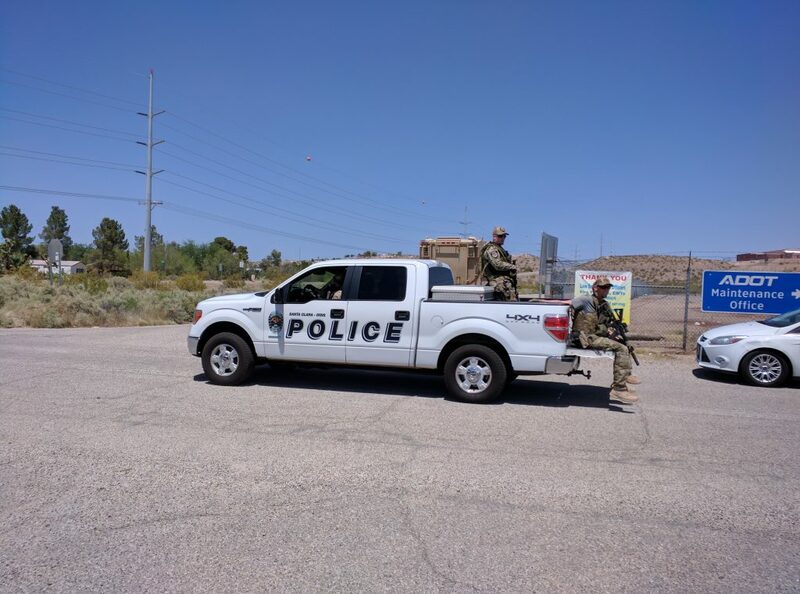 During the search, area schools were placed on lockout and motorists along Interstate 15 were advised not to pick up hitchhikers. 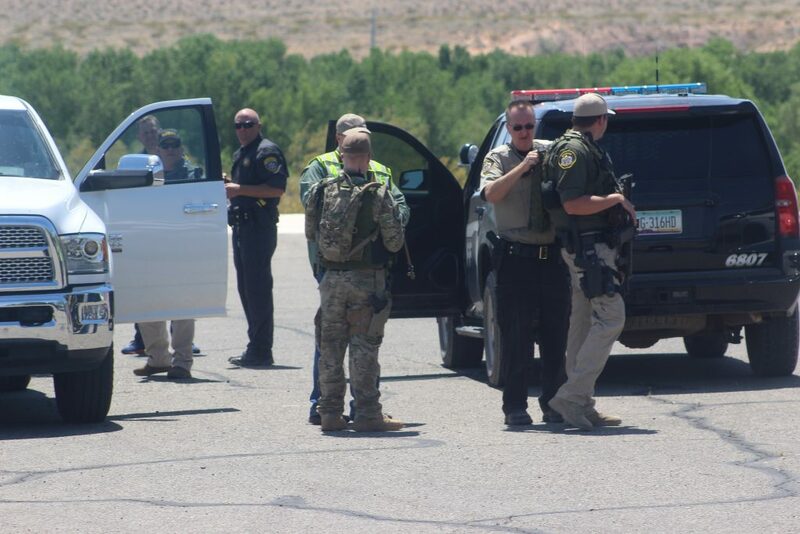 By about 2 p.m. MST, the majority of the search force was scaled back, but authorities are still actively searching for Boone in the area of Old Pioneer Road and Beaver Dam Drive as of Friday evening. 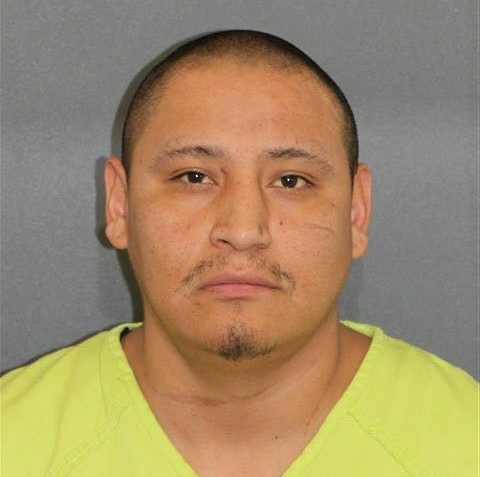 Boone is considered dangerous and should not be approached, according to a news release issued by Mohave County Sheriff’s Office. Boone is described as 5 feet, 9 inches tall, weighing 175 pounds with a shaved head, brown eyes and tattoos on both arms. Anyone with information on the whereabouts of Boone is encouraged to contact Mohave County Sheriff’s Office at 928-753-0753. Cuff em and Stuff em, unless he resists again. Are those cops wearing full military gear, or are those just civilian idiots with guns? That’s the scariest part of all of this is if cops are playing army commando and trotting around in fatigues with m-16s. This is not the role of police. They are out of control. Striker, I thought we went over this before. begone you troll. If you don’t have anything worth while to say, STFU no one wants to hear, see, or read your garbage, make an educated statement on something or keep your loose flapping gums clamped together. 50 bucks says you are single and no one can stand you, if i’m wrong and you’re married i’ll double down that your wife hates you and wishes you’d shut up as well. Go GRANNY!!!! next time don’t give a warning shot, or pull him off, just let one fly girl!! Man I love these good samaritan gun owners!! More like 4 cents worth, and i agree. My wife’s Grandpa lives in Beaver Dam, guy is lucky he didn’t show up at his place, old Army Vet with an AR would have greeted him.